With Analog TV being turned off in Australia and around the world in the next couple of years, set top boxes, PVRs and Tivo are all going off the shelves and into peoples homes very quickly. Many people are unaware that Windows Media Center is an option to switch to Digital TV, and there are considerable benefits over the PVR units above. You can view ALL of your media on your TV, you can record more channels at once, you can store more media, with automatic meta data fetching and you can even play games. It was a no brainer for me to choose to use a computer to control my media. If you have a computer running Windows 7, there is a huge chance you already have everything you need to set up the basic configuration in your house. The only cost may be to purchase a TV tuner which start at around $20. It is worth dedicating a computer for this task, but there is little harm in experimenting on what you already have. Consider re-purposing your current machine as a dedicated media centre when you upgrade. If you want a new feature, eg. BluRay, you can generally just plug in a new drive at a considerably lower cost than buying a stand alone unit. I have spent a lot of time over the last 12 months, trying to create a Windows Media Center that would work flawlessly. 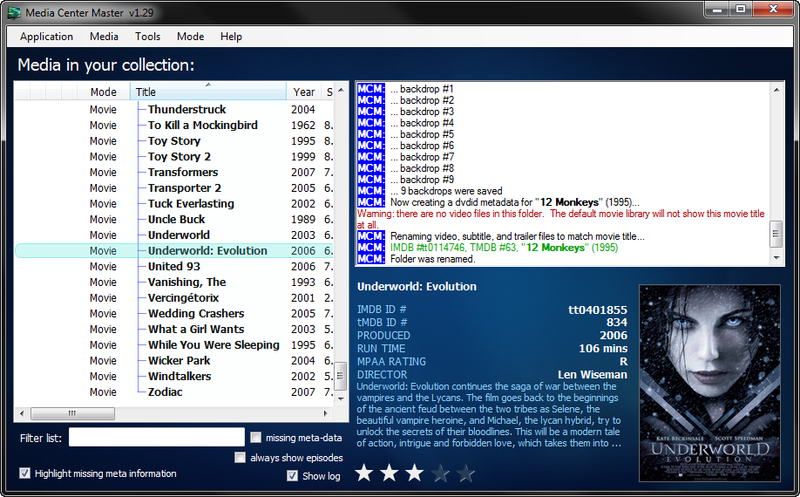 With the strong foundation of Windows Media Center 7, a bunch of free programs and a lot of research and tweaking the puzzle pieces have come together. I hope that this guide will help you build a system that will give you as much enjoyment as this system has for me. Check out a video of my media centre in action after the jump. In my research, I came across a number of videos and websites explaining their own media centre setup, but I was unable to find an example that covered everything (or even came close to doing) what I wanted my media centre to do. I was also unable to find a computer based media centre that didn’t require regular back-end maintenance. I have been able to automate every aspect of this media centre and there is nothing that I have wanted that is lacking. Most of the setup is very straight forward, though there are a lot of steps involved. This is an ideal weekend project for anyone with a bit of interest in computers and TV. I needed my family to be keen to use it. The front end needed to be simple. I wanted to save money in the long run. I wanted the system to be as future proof as possible. I wanted the system to be low to no maintenance. On all five counts above, the system has exceeded my high expectations significantly. As an added surprise, it is safe to say that the system has comfortably paid for itself already as I have not needed or wanted to buy as many DVD’s, or any other technology for that matter. This is an all in one solution, far exceeding anything else I have seen on the market at any price point. I don’t want the length of this article to scare people from doing it. It really is quite simple. All you need is a computer running Windows Media Center and then to install a few programs on the computer. I believe anyone can do it. Visit the sites and click the download links. Once the file is saved in a location of your choosing, double click on the file and follow the prompts. Making a decent bacon and eggs is much more difficult. The additional information in this article is useful for people who want to understand how it all works. It is really preferable to have a machine dedicated as a Media Center PC. 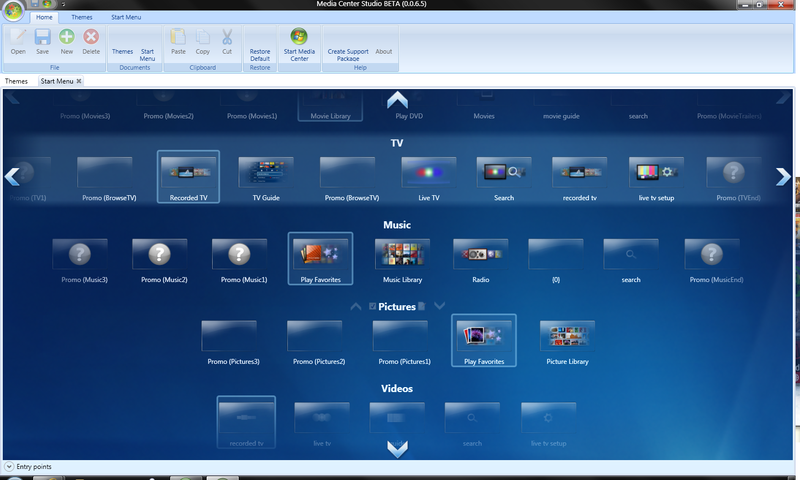 When I had Vista, I was launching Windows Media Center when I wanted to watch TV. The rest of the time, Windows Media Center would be closed while I checked my email or the like. Now that I have invested in a separate machine, the media centre is always ready to go. There is also much less of a risk that newly installed software may corrupt or change the setup. I wanted this to be a set and forget solution. There are already a fair few pieces of software that run in the background to make all of this work correctly. I did not want to complicate it further. When I initially set out to make this media centre, I used an old Pentium 4 machine as a media centre does not require a great deal of processing power. The most important things to me were sufficient storage space, enough slots in the motherboard for TV tuners, and I also wanted to be sure of system reliability. I had this system up and running fine on the older machine for 2 months before the processor called it a day. The only upgrades I had made to the machine were an additional 1GB RAM and a new AGP videocard capable of HDMI output. These were quite a challenge to find because generally people don’t want these items anymore. Once the processor blew, it was illogical to try to replace it so I started from fresh and bought a new machine. You can go wild and add a fancy case, silent cooling and that is fine but I went as simple and as cheap as I could. I purchased items that were at a reasonable price point. I can always upgrade various items later. Saying all that, the quicker your machine, the better your experience is likely to be. The other components worth noting are an external DVD player, USB Turntable, Webcam. These aren’t necessary, but they are handy. This is not a top of the line machine. The cost was roughly $1200 2 years ago. A similar spec machine is now around $700. Wait another 2 years and you will pick one up at the side of the road. As I said earlier, it is worth considering recycling your current machine for this task. There are a fair few reasonable media centre packages available now which run on various Operating Systems. A number of them don’t have support for recording TV (my main use) and the ones that do, I have found to be more complicated to setup than Windows Media Center. It is also nice to work in an environment I am most familiar with. Windows Media Center has always worked for me with very few problems. 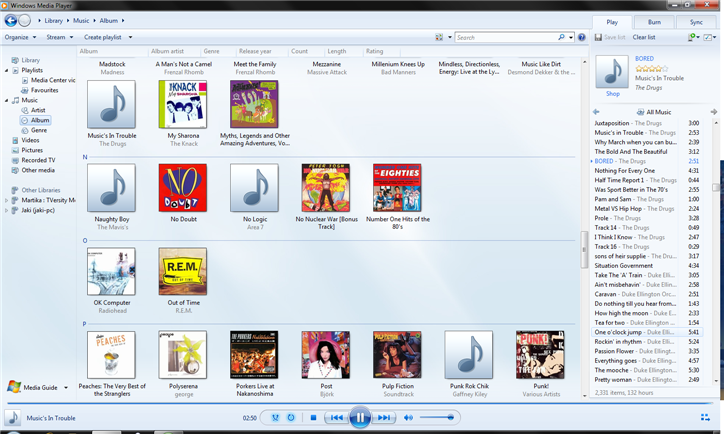 It is easy to use Windows Explorer and Windows Media Player to manage your media and it has a large support community keen to help out and enhance the user experience. 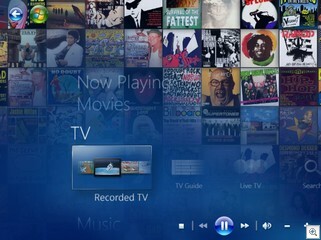 Windows Media Center has a very simple interface that gives you quick access to all your music, movies, pictures, television and radio; all incorporated into the one system. While this should be expected for any media centre, there are lots of nice fade effects and transparencies that do a lot more than look good. They all enhance the experience. If you want to use Media Portal or XBMC etc, feel free. 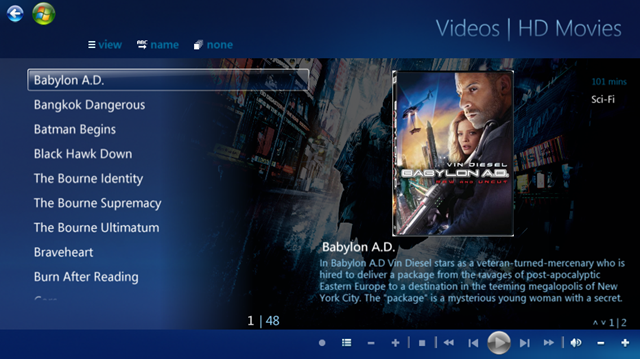 They both look great and have many community made themes that can give your media centre your personal touch. It is worth running them over Windows Media Center as some of the software mentioned below will only work with Windows Media Center. 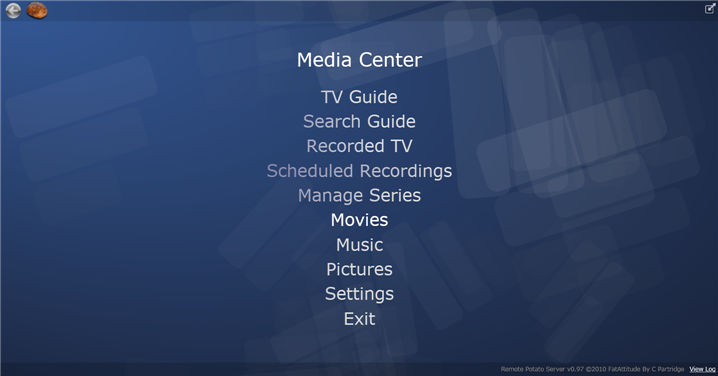 i.e Use WMC to manage\record your media, other media centre software to view it. You have nothing to lose by experimenting. I will need to switch to one of these alternative systems later on if the Buy Music link is not removed. (I don’t want my kids selecting that). Due to the amount of programs you will want to install on your system, please click on the more info link for a full review of each individual program. 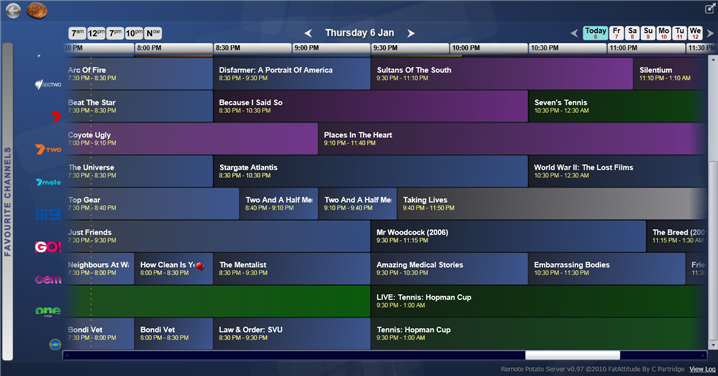 Each of these programs offer a unique but valuable feature or enhancement to your media centre. Once all of these programs are installed, you will have the same software on your system as you can see in the video above. You will need to go into each program to configure your system, but apart from the scripting, it is really quite simple. If you are unable to figure out the settings on a piece of software, there is great information on each of the individual websites. There are many ways to control the system. As soon as the media centre is setup, the mouse and keyboard will work to control it. Most TV tuner cards come with a remote control which will work with Windows Media Center. I use a Harmony 880 universal remote which is programmed to communicate with the tuner cards receiver. An added advantage to the Harmony range is that it can be used to turn on your TV and Receiver with the press of a single button. There are better ways though. I have been using voice to control my system for a few months now and am finding it to be by far the best way to control anything. So long as the environment is quiet, the benefits of voice are huge. If you would like to use voice, please check out my article on How-to: Voice control Windows Media Center. This has become much easier in recent years. Every computer has the software and capability to do this. You just need to make a physical connection and then change the software settings to accommodate. Here is a past article I wrote explaining the many ways of doing this. A whole lot more that I will tell you about in coming days. These features are unlikely to ever be possible using normal entertainment components. At least not for many years. This system has changed the way we live. We rarely watch live TV anymore. The only time we do is when there is a sporting event on. We can now watch what we want, when we want. I can record a show so that it is ready to be watched after dinner, rather than trying to time dinner around when the show is on. We rarely buy DVDs now because having a system that records a movie from TV and downloads the cover artwork and cast information is a much nicer option. It sure beats preparing to watch a DVD and then being required to sit there for 10 minutes while it goes on about video piracy, while the only people effected by those ads are the people who legitimately purchase the discs. I needed to ensure my family would see the advantages of this new technology over the regular TV. Now my family love it and it has changed the way we keep ourselves entertained throughout the house. This is a solution that my family actually appreciates and enjoys. As an added bonus, we don’t need to fight about which program can be watched on live TV. By recording your entertainment, you never need to miss out on anything, even if you are away on holidays. Over the coming week, I will be adding a great deal of additional information to this article. It will clearly explain why a computer based system is best. You would be wise to wait until these articles have been published before rushing out to buy an expensive media centre PC. *This system is part of a future home automation system. My current home theatre PC will ultimately become a media server for the whole house. This system will record and manage the media, while cheaper media centres will make the media viewable from anywhere. Other media centres I place around the house will not need as much processing power, though they are likely to have more power as they were purchased later down the line.